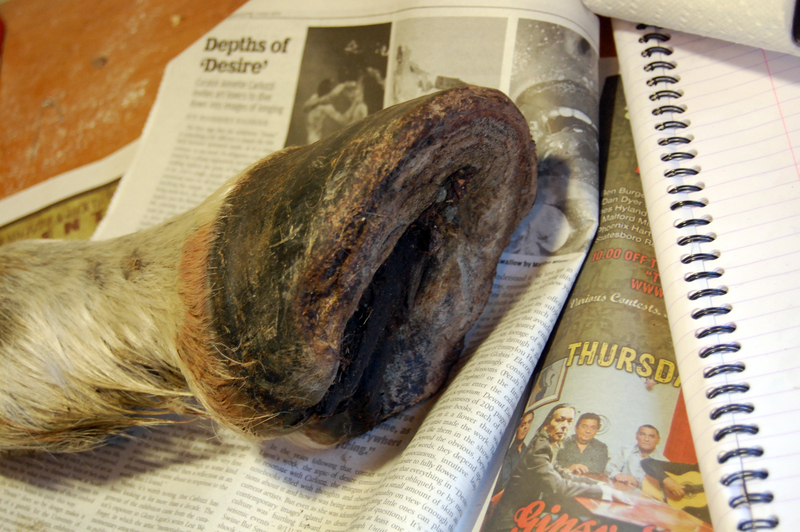 Some horse "legs" arrived in the mail the other day and I thawed one out the other night to see if I could turn it into a human shoe. I've had an obsession with pretending to be a horse for years; and although I am aware the wearable horse shoe has been done, I will not be at rest until I get a crack at it myself. Plus, I want to try working with every kind of creature. Here is the leg, thawed out. It took me about thirty minutes to realise that I really had no plan and wasn't entirely sure of what I was doing at all. 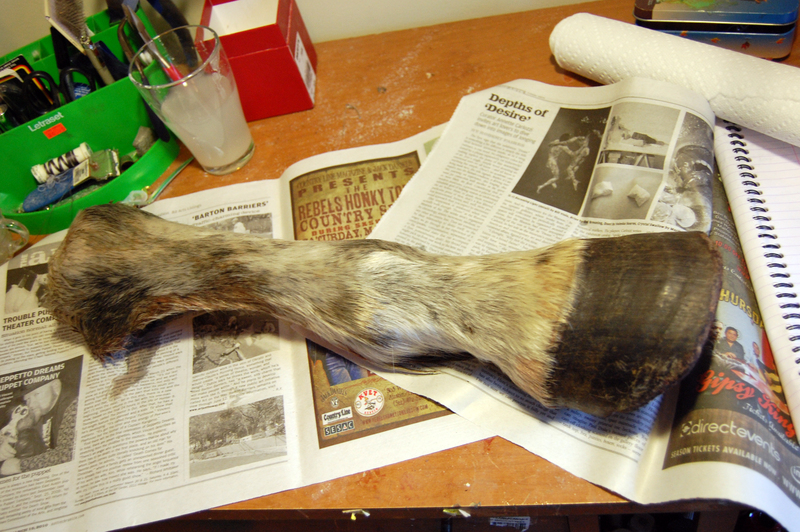 I managed to skin the leg down to the hoof, but then had to cut the hide away as it would not invert around said hoof. That's fine; it shouldn't be much of an issue to reattach, but once I managed to sever the hoof from the rest of the leg, I wasn't quite sure what to do with it. A crash course in horse anatomy is basically what this project has turned into. 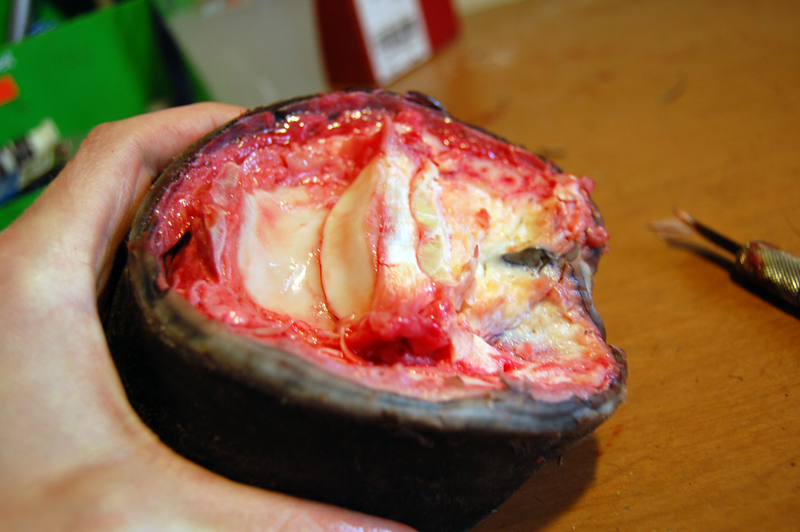 I've managed to cut out all the flesh I can with a knife, but it's not enough space to work a partial shoe into. I got frustrated and had to leave it for a couple days; tomorrow I will tackle it with a drill. That will smell totally awesome, I'm sure of it.